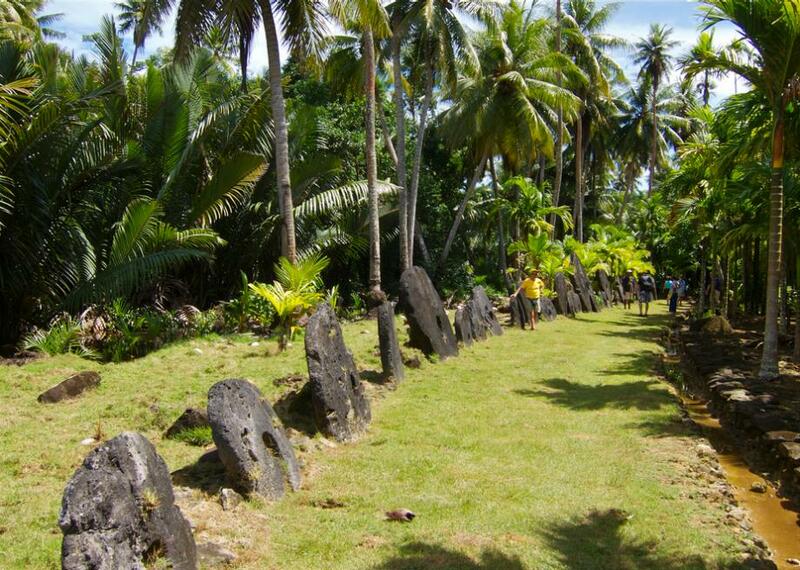 Yap is the most intriguing island in Micronesia. It is a land steeped in ancient traditions, fascinating legends, and peopled by one of the most distinctive cultures in the Pacific. 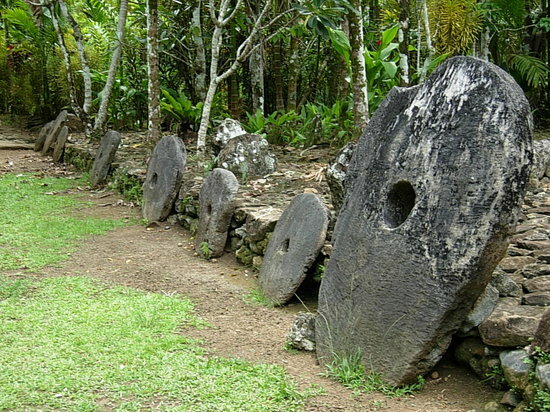 Attractions like a handmade seaside men's house, cultural village tours, huge, ancient stone money discs and stone money banks, dancing, handicraft making, marine life and mangrove forests highlight a visit to this unique outpost. For the active person, there's plenty to do on land and in the ocean. 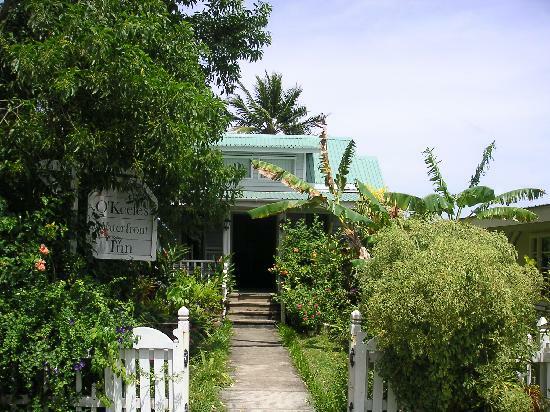 The visitor can expect to go mountain biking, hike on an ancient stone path or try some deep sea fishing as part of the Yap experience. Or, just take a nap under a coconut tree on one of Yap's unspoiled beaches. There are 2 flights that directly service the island of Yap via Continental Airlines. Most visitors get Yap by going through Guam, because Guam International (GUM) offers connections to: Australia - Cairns, (CNS), Japan, (HIJ, FUK, NGO, KIJ, OKJ, KIX, NRT - Narita), Hong Kong, (HKG), United States - Honolulu, Houston, San Antonio (HNL, IAH - Intercontinental, SAT), Phillipines - Manila, (MNL), Marshall Islands, (KWA, MAJ), Northern Mariana Islands, (ROP, SPN). More information available below at "Getting to Yap" link. History: Dance is an art form in Yap. Through dance, legends are passed down, history is recorded and entertainment is created. The dances of Yap are raucous, colorful and well- orchestrated. Men and women both start at an early age to learn this special Yap tradition. 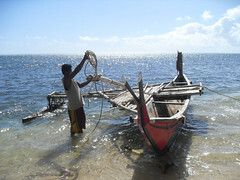 This traditional life carries into the villages where fishing, sailing and weaving are still important parts of everyday life. Grass skirts for the women and thu'us, a type of loincloth, for the men are the basic garb in the small towns that sit in tranquil settings around the island. 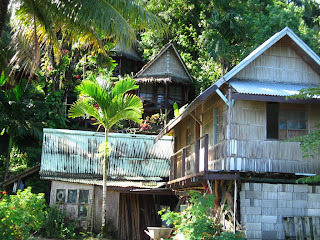 The people of Yap are shy but warm. They don't mind visitors who are respectful and appreciative of their lifestyle. With a little coaxing, the visitor may soon find his or herself helping with a chore, like launching a canoe or weaving a basket to carry coconuts. 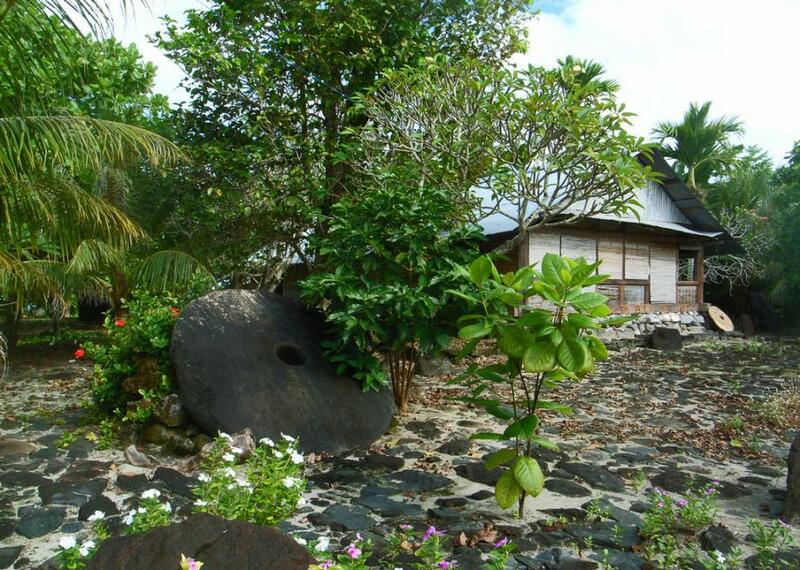 This special kind of island encounter is not unusual on Yap and is part of the Yapese spirit that makes the island so enticing and enchanting. "Weather in Camiguin most of the time is cloudy but do not be fooled, you will still definitely need sunblock upon arrival at their famous White beach"